Desh Bhagat University, best university in Punjab (2nd Rank, NIRF Ranking: MHRD, Govt. 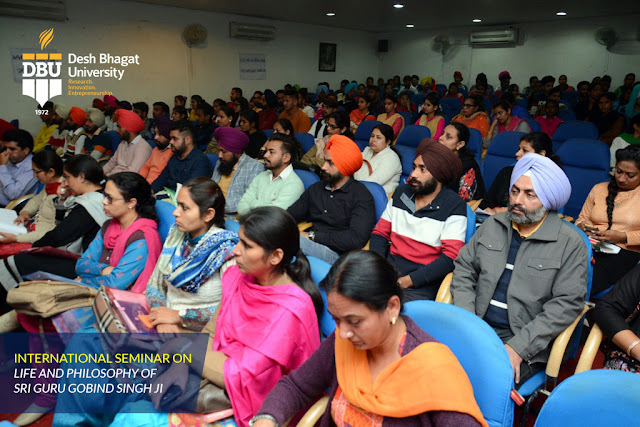 of India) organised an International Seminar on ‘The Life and Philosophy of Sri Guru Gobind Singh Ji’ in connection with 350th birth anniversary (Parkash Utsav) of Sri Guru Gobind Singh Ji. A large number of research scholars, guests from abroad, students and teachers of different universities attended it. While presiding over the function, S. Kaka Randeep Singh (MLA, Amloh) said that Guru Ji sacrificed his whole family to uphold the human dignity and the high values of life. Our life without Guru Ji’s teachings will not be worth living at all and we must give it due importance in our life. Earlier university Chancellor Dr. Zora Singh while welcoming the Chief Guest and all other guests said Guru Ji’s Philosophy was Live and Let Live, if we want to save the humanity we have to follow it. On this occasion a book on Guru Gobind Singh Ji published by the DBU was also released. Dr. Bahista Singh (W/o S. Kaka Randeep Singh) graced the occasion as Guest of Honour. 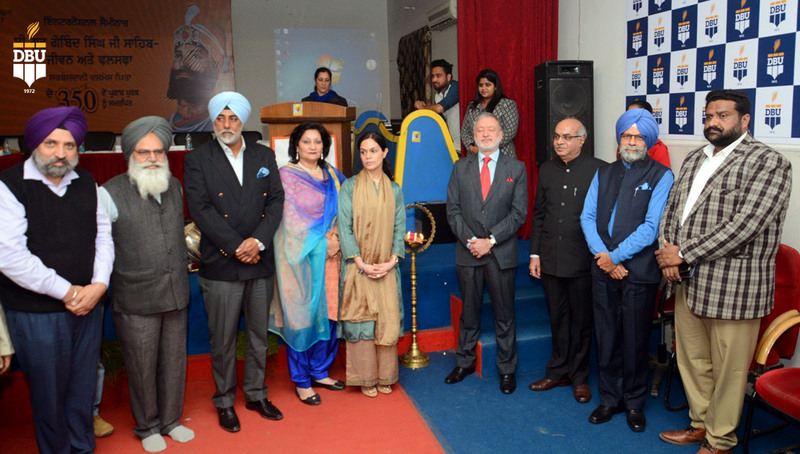 The keynote speaker on this occasion was renowned scholar Dr. H. S. Bedi (Former Professor, Guru Nanak Dev University, Amritsar), who said, ‘Sri Guru Gobind Singh ji was a Spiritual Master, A warrior, A Poet and A Philosopher’. He highlighted the importance of Guru Ji’s Philosophy, teachings, his contribution to society and literature. Dr. Baltej Mann stated that by forming of Khalsa Guru Ji creates a warrior community who is always ready to protect down trodden, women, humanity, our country and more over animals. 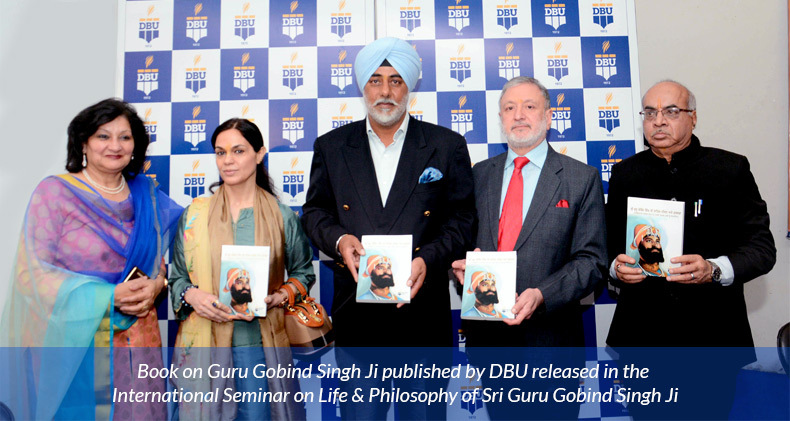 Dr. Rajinder Singh Bola ( A Sikh scholar on Guru Granth Sahib from U.K.) said teachings of Guru Ji are like a torch, which always shows us path whenever we are in darkness or in catastrophe. 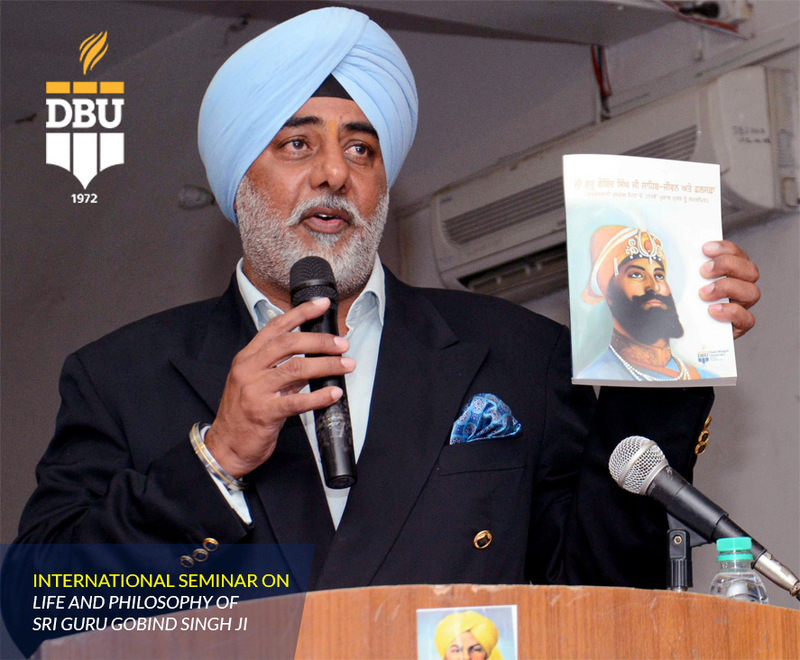 Prof. Achhru Singh while speaking about Guru Sahib’s literary and music work said his literary work is highly inspiring, motivated and educative. The other scholars Dr. H.S. 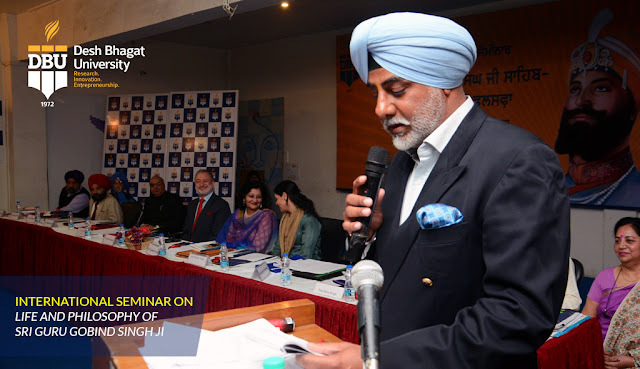 Randhawa, Dr. Bhim Inder Singh and Dr. Shreyansh Dwivedi also shared their views on the topic. Pro Chancellor Dr. Tajinder Kaur, while proposing vote of thanks highly appreciated views of all the guests. Vice Chancellor Dr. Virinder Singh and Pro Vice-Chancellor Dr. Neelima Jerath expressed the hope that the conference will prove quite useful for the students, research scholars and for the society as well.